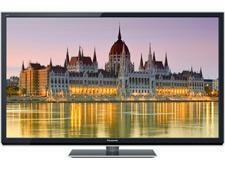 Panasonic's 2012 plasmas are beginning to hit store shelves. The line includes six series: (from top to bottom) the VT, GT, ST, UT, U, and XT Series. In the middle of the pack is the ST Series, which includes screen sizes of 50, 55, 60, and 65 inches. The ST Series lacks the THX certification found in the higher-end GT and VT models, and a few technological differences exist that I will highlight throughout this review. What you do get with the ST Series is the latest Infinite Black Pro panel with the new Louver filter, 2500 Focused Field Drive technology to improve motion resolution, built-in WiFi, VIERA CONNECT, DLNA media streaming, and 3D Real Sound with the new 8-Train speaker panel. The 55-inch TC-P55ST50 carries an MSRP of $1,699.99. 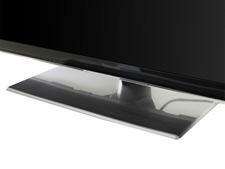 • Read more plasma HDTV reviews written by Home Theater Review's staff. • Explore Blu-ray player options to pair with the TC-P55ST50. • Find a soundbar in our Soundbar Review section. After years of offering TVs with a lackluster (Panasonic prefers the word "conservative") aesthetic, the company has stepped it up in the design department lately to better compete with some of those super-stylish LED-based LCDs. The ST50 lacks the one-sheet, bezel-free design of the top-shelf VT50, but its appearance is still a big improvement over past models. Panasonic has reduced the bezel size to about an inch all the way around the screen, the frame is glossy black with a clear acrylic border, and the square base has a brushed metal finish (oddly enough, the base for this year's 55-inch model does not swivel). 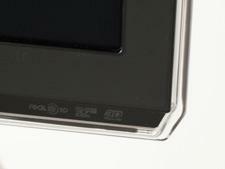 The TV measures 1.8 inches at it deepest part and weighs about 62 pounds without the stand. One of the ways Panasonic has reduced overall depth is by redesigning the TV's speakers: The new 8-Train system features eight dome-type micro-speakers that measure only about eight millimeters thick and run along the bottom of the front panel (four on each side - each speaker looks a bit like an SD card slot), plus a 22-millimeter-thick subwoofer that's mounted to the rear panel. New "sound lifting" technology is designed to more effectively redirect the sound to the center of the screen. The remote control's general appearance is the same as last year's model, but Panasonic has rearranged some of the buttons in a manner that I find more intuitive. All of the function buttons are closer together near the top of the remote, the amber backlighting isn't quite so bright, and the remote now has a glossy black finish that better compliments the TV. As I write this, the VIERA Remote app for iPhone/iPad is still version 1.10 (released in August 2011), but Panasonic has said that v2.0 is coming soon; the upgrade will reportedly offer improved touchpad (slider) operation, a game-pad layout for VIERA CONNECT games, and the ability to flick content (Web pages, photos, videos, etc.) back and forth between the smartphone/tablet and the TV. The TC-P55ST50's setup menu includes most of the picture adjustments we like to see, with a couple of omissions. As I mentioned above, this model lacks the THX certification you get in the GT/VT lines; consequently, this TV lacks the THX picture mode that's designed to be the most accurate out of the box. You can choose between five picture modes: Standard, Game, Vivid, Cinema, and Custom. As in past models, only the Custom mode grants you access to important Pro settings like RGB high/low controls for white-balance adjustment, panel brightness (low/mid/high), and gamma adjustment (six presets). The Pro menu also includes black extension, contour emphasis, and AGC controls that I chose to disable when using the Custom mode. The biggest omission is an advanced color-management system that allows you to individually tailor the six color points, but this wouldn't prove to be a huge concern, as the color points looked quite accurate. Panasonic's Motion Smoother function, first introduced last year, is available for those who desire a de-judder control that produces smoother motion with film sources (it also slightly improves motion resolution - more on that in the Performance section). Panasonic still includes the option to output 24p film sources at either 48Hz or 60Hz. The 48Hz option repeats each film frame twice for a slightly less juddery image than 60Hz. However, 48Hz also creates highly distracting flicker, so I don't recommend it. This model doesn't include the more desirable 96Hz mode that's offered in the VT Series. 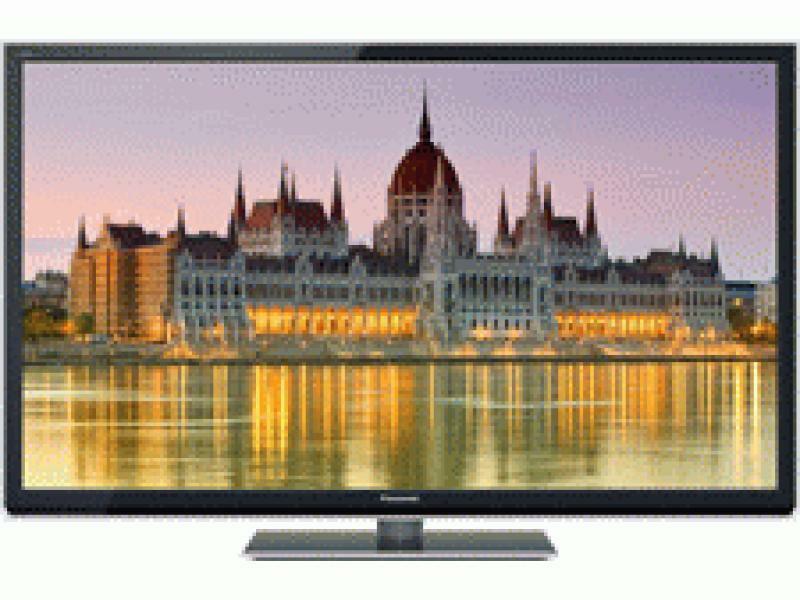 In the 3D realm, the TC-P55ST50 is an active 3DTV that employs frame-sequential 3D technology, in which the TV alternately flashes a full-resolution left-eye and right-eye image. Panasonic's new 2012 rechargeable glasses (TY-ER3D4MU) communicate with the TV via Bluetooth, weigh just 27 grams, and have a new Quick Charge feature (a two-minute charge gives you three hours of use); the MSRP is $79.99 per pair. The 3D setup menu looks similar to last year's, and it includes 3D Adjustment to adjust the left-eye versus right-eye depth to produce a more desirable 3D effect, the ability to swap the left/right images if it seems like the depth perception is off, a diagonal line filter to remove jaggies, and the ability enable 2D-to-3D conversion and adjust the depth in three steps (minimum, medium, or maximum). In terms of picture adjustments, when the TV detects a 3D signal, it automatically switches to a 3D picture menu that provides access to all the video controls I listed above for 2D content. The audio setup menu lacks any preset sound modes or advanced equalization. You get bass, treble, and balance controls, as well as a basic surround mode. The previous Bass Boost option is gone, probably because of the addition of a subwoofer. The AI Sound feature is designed to equalize the volume level across all channels and inputs, while Volume Leveler deals specifically with reducing level variations between the different inputs. Panasonic has added a Distance to Wall setting to adjust the low-frequency level based on whether the TV is on a stand (over one foot) or wall-mounted (up to one foot). The new speaker/sub configuration definitely adds a bit more meat to the mid and lower frequencies, resulting in a less nasal, tinny sound; however, I had to push the volume pretty high to get decent dynamics. As I write this in early April, the VIERA CONNECT platform hasn't changed much from last year's implementation, although new features that were announced back at CES are supposedly coming within a month or so. (I hope to do a write-up on those at a later time.) The one improvement built into the ST50 and other new models is that VIERA CONNECT now uses a cloud-based architecture that speeds up the processes and allows for an unlimited number of apps to be added through the VIERA CONNECT Market. The ST Series does not utilize the dual-core processor found in the GT/VT models that allows for multitasking, or the ability to have multiple apps open at the same time. The basic VIERA CONNECT interface and navigation are still the same, and that's fine, because I consider this to be one of the cleaner, easier Web platforms out there. Premium services include Netflix, Hulu Plus, VUDU, Amazon VOD, CinemaNow, Pandora, YouTube, Skype, and the Social Networking TV app that lets you watch TV and navigate Facebook/Twitter simultaneously. The new YouTube interface is cleaner and quicker to navigate; plus, videos automatically begin in full-screen mode, which is a welcome change. As in past models, most of the picture adjustments I described above are available for VIERA CONNECT sources. For the past few years, Panasonic has sent me a review sample from the G or GT Series, all of which were THX-certified TVs. In fact, my reference plasma is still the TC-P50G25 from two years ago, and it was interesting to compare that older THX-certified model with this new ST model. In many respects, the two TVs offered similar performance, with a key caveat: the older G25 offered its best performance in the THX mode with minimal tweaking, while the new ST50 benefited from calibration within the Custom mode. Read more about the Panasonic TC-P55ST50's performance on Page 2.